Laptop Panel Search and Parts Database Now Available! A bit of an unusual idea here, but Samsung have shown off a new range of monitors at CES 2011 which are referred to as their 'Central Station' range. The monitors come in sizes of 23" and 27" and are designed to be an IT hub for your laptop / notebook needs. The screen itself is a standalone device which you connection your peripherals into, via the USB ports on the base (keyboard, mouse etc). There is a wireless and wired version of the screen available, but assuming you have the fancy wireless version you connect the included USB dongle into your notebook and whenever it is then within range (1m) of the Central Station it will connect to all your desktop peripherals wirelessly without the need to plug in any cables of change anything. So your connection to the monitor, keyboard and mouse is all wireless which is pretty impressive. The screens will offer a full 1920 x 1080 resolution, 2ms G2G response time, 1000:1 contrast ratio and will be W-LED backlit. They will have 2x USB 2.0, 2x USB 3.0, Audio output jack, HDMI, VGA, Ethernet and an Upstream USB 3.0 port (for connection to notebook). All Central Station consumer models sport a dual-hinge base, making them height adjustable. The professional model features a more traditional, fully height-adjustable stand in place of the dual-hinge. Additionally, the USB ports on Central Station can charge mobile devices connected to them. Samsung will offer Central Station with either a crystal or metallic finish. The device will also feature Samsung's Touch of Color highlight. The Central Station will be available in March, 2011. Pricing has yet to be confirmed. One question which we get asked regularly is "where can I find a database which will tell me about the panels used in laptops?" 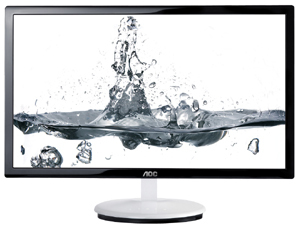 We already have a very extensive panel search database for monitors which will tell you information about your desktop LCD monitor. We also have a parts database which lists all the current LCD modules by manufacturer, with detailed spec for each. To help us grow our database, you can check the panel being used in your laptop using the Monitor Asset Manager tool. It doesn't work for desktop monitors, but can be used to identify the panel being used in most laptops. If we are missing your laptop from the search database, please e-mail us a screenshot of Monitor ASset Manager and we will get it added. We brought you the news from CES 2011 a couple of weeks ago that LG were releasing a new gamer-orientated screen, known at the time as the E70V. We now have a few more details about the forthcoming monitor. The screen is aimed primarily at gamers which is an interesting step considering its use of IPS technology. The screen offers a few advanced features like PIP and a "none-delay thru mode" for reduced input lag. There's even a hot-key remote which comes with the screen which can activate this thru mode quickly and easily. The size of the screen is now known to be 23", and supports a full 1920 x 1080 resolution. The so called "Super LED" technology here offers a reported 25% power consumption reduction compared with normal mode, without any image quality loss. This is achieved by controlling the backlight ang gain according to LG. The E2370V has a very thin 19.1mm bezel and is a brushed metal design. The screen is expected to be released first in Japan by the end of the month at a retail price of ~$400 USD. The pretty popular BenQ EW2420 hasn't been available for long, and was the World's first VA panel with LED backlighting available. However, BenQ have just announced the forthcoming release of their new EW2430 and EW2430V screens. Their press release tells us that the screens have an almost identical spec to the EW2420 screen, with the same 3000:1 contrast ratio, 20 million:1 DCR etc and the same interface options. Unlike the EW2420, the EW2430V model will also have a component interface connection. The only real change we can gather from the press release is that the new screens will have a metallic design and casing. Whether this updated model will address any of the reported issues some users have faced is speculative at this stage. Some users have had uniformity and backlight bleed problems which could perhaps be addressed through tighter quality control or panel selection. Other characteristics such as responsiveness are likely to remain the same unless BenQ have applied a more aggressive RTC impulse which remains to be seen. We will hopefully feature a review of the new screens when they are available, along with the recently announced 27" EW2730V. Both EW2430 and EW2430V will be available in Europe and Asia Pacific after January 2011 and worldwide thereafter. Eizo have today announced the release of a new 27" IPS monitor in their range, aimed at graphics professionasl and digital photography use. The FlexScan SX2762W offers an ultra-high 2560 x 1440 resolution and includes several features to ensure accurate color display. There is a 97% coverage of the AdobeRGB colour space (this is a wide gamut model), 10-bit colour depth with 1.07b colours, a 16-bit 3D LUT, uniformity compensation and hardware calibration support. The FlexScan SX2762W is the first model in the FlexScan series with a new cabinet design and the first to come with the new FlexStand 2. The cabinet design maintains the distinct look of EIZO monitors while introducing a more smoothly rounded feel. The FlexStand 2 complements the new cabinet design with its curved neck and solid round base while still offering very versatile positioning with 151.5 mm height adjustment, 25° tilt, 344° swivel, and 90° rotation for portrait mode viewing. 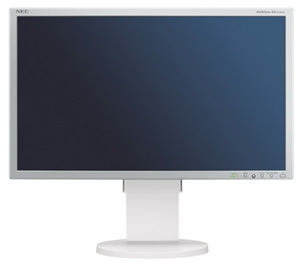 EIZO has equipped the FlexScan SX2762W with several of its “EcoView” functions for optimal power usage and improved visual ergonomics. EcoView Sense detects when the user is absent and prompts the monitor to enter power saving mode. When the user returns the monitor resumes normal operation. A brightness sensor called Auto EcoView reads the ambient lighting and adjusts the screen’s brightness so it is always the ideal level. An on-screen gauge called EcoView Index indicates power savings that result from using Auto EcoView. The FlexScan SX2762W is scheduled to go into mass production in February. Date of availability and pricing will vary by country so please contact the EIZO subsidiary or distributor in your country for details. 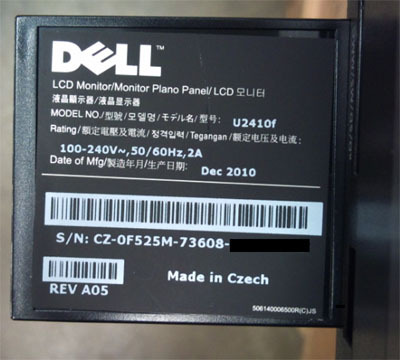 There have been some questions recently about the latest revision of the popular Dell U2410. Some online retailers are now stocking the A05 revision of the screen. The U2410 had previously gone through three widely available revisions, the A00, A01 and A02. The initial release had an issue relating to dithering artefacts when used in the sRGB and AdobeRGB modes. This was fixed in the A01 revision and Dell even made the firmware user-upgradable at the time. The A02 revision is also available from Dell to flash yourself if you want to but it's not clear what this addresses. Normally these revisions signify minor firmware updates and fixes, perhaps slight changes to scalers and electronics. They are rarely significant changes unless there's a serious flaw being addressed. Some users also reported towards the end of 2010 that they were recieving A03 and A04 versions of the screen. Now, the A05 is available. According to Dell's US representative on their forums, "The A05's your'e seeing in other regions were given that number change due to non-hardware related changes made at the factories in those regions. The latest hardware revision is A02." He later states there is no firmware change either. So at this stage it's unclear what has been changed but again it's likely to be minor. Another new IPS screen which is set to be released later this month is the Asus PA246Q. 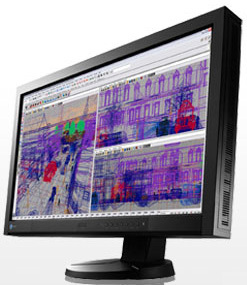 The screen was designed with graphics professionals in mind. 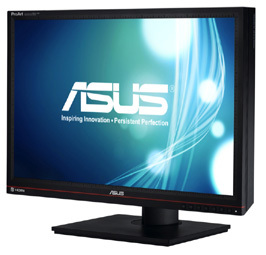 It offers a 16:10 aspect ratio and 1920 x 1200 resolution from its p-IPS panel. Looks like Asus have adopted the naming scheme introduced by NEC when they launched their PA series of screens. The panel is ultimately an H-IPS structure, but the "p" (professional) was introduced by NEC to distinguish their new "10-bit" models. The colour depth has not been covered at the moment but given the low price I suspect this is a standard 8-bit model. I expect the "p-IPS" is just some inventive marketing. There is a bit of conflicting information about the gamut of this screen, with the techrport news piece stating 98% of the sRGB space, but this Youtube promo stating 98% AdobeRGB. I expect the techreport number is perhaps a typo as the screen does seems to be advertised as a wide gamut display. I am clarifying some details with Asus to confirm. The PA246Q is expected to retail for around $500 USD according to reports. The screen was showcased at CES 2011. No word on official release date or UK pricing yet. Bound to attract the interest of gamers out there, Acer are showcasing their new 27" 3D ready monitor at CES 2011 at the moment. The HN274H 3D features a built-in 3D emitter that’s compatible with NVIDIA’s 3D Vision Kit. 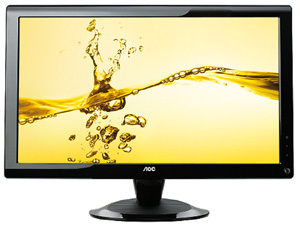 The screen offers a 1920 x 1080 resolution, uses W-LED backlighting and comes with dual-link DVI and HDMI 1.4 interfaces for connecting devices and supporting the 120Hz refresh rate / 3D content. Acer will also be releasing a 24" GN245HQ model again supporting 3D content. This screen again uses W-LED backlighting and offers a 23.6" screen size, 1920 x 1080 resolution, 100 million:1 (is there any point?!) dynamic contrast ratio and a 2ms G2G response time. Further specs, release dates and prices are not known yet. Not to be forgotten at CES 2011, AOC are showing off some of their new models in Las Vegas at the moment. Of note is the AOC i2353Fh (above) which offers an ultra-slim profile of 9.6mm, making it one of the slimmest displays in the World. The screen is 23.6" in size and is designed for both office and home use. There are two HDMI interfaces for connecting devices. AOC are also showcasing the 2436Vwz model (above) which is another 23.6" screen, this time offering 120Hz / 3D support. This models offers connections of D-sub, DVI (HDCP) and USB and is aimed at the gamers market with its low response time. Of other note are a new line of business displays in their 50ID series (shown above left). These screens use W-LED backighting and range in size between 18.5 to 23.6". The 43ID series (above right) is also being shown in their "lifestyle range" where popular models released at the end of 2010 are being updated with a 2ms G2G response time. These models are also slim-profile at 12.9mm and are directed at design-conscious ambitious users in the professional as well as the home environment. Release dates, prices and further specs for these models are not available at the moment. Again at CES 2011, Samsung have announced their new SA950 and SA750 (pictured above) series of 3D screens. 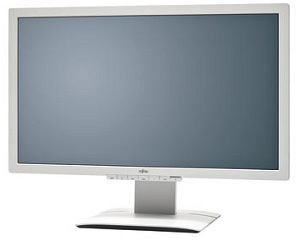 Both ranges offer 23" models (S23A750 and S23A950) and 27" models (S27A750 and S27A950). The screens will reportedly use proprietary 3D technology which is different to that of NVIDIA's 3D vision and designed for PC users. Unlike the 3D Vision Kit, an IR hub won't be necessary for the monitor to function properly in 3D. You'll need only the monitor and a pair of Samsung's own 3D glasses. Although both the SA950 and SA750 will be compatible with 3D content, the SA950 will also also convert non-3D content to 3D. No word yet on how well that will work however. "Samsung has reinvented the 3D monitor experience to allow its users to experience the wide variety of 3D content now available. Unlike other 3D solutions, which only work for video gaming, Samsung’s new 3D monitors and HDTV/monitors also allow users to enjoy 3D movies, 3D TV and user-created 3D content like 3D photos and 3D videos. In order to do this, Samsung has created a new 3D technology, based on 3D panels available only in Samsung displays. The proprietary Samsung 3D panel gives the 7 and 9 Series monitors a hyper realistic 3D playback, which makes them ideal for immersion in intense PC or console gaming, or for watching action-packed video content like movies and sports. The 950 Series Monitor and the 7 and 9 Series HDTV/Monitors can automatically analyze and render 2D content in real-time to stunning 3D, supporting not only PC content, but also content from Blu-ray players, gaming consoles and set-top boxes. Offering a complete 3D solution in a single package, the 7 and 9 Series feature a built-in glasses sync emitter, and they are packaged with a pair of 3D active-shutter glasses and middleware for 3D gaming. " The screens will offer a full 1920 x 1080 resolution, 2ms G2G response times, 1000:1 contrast ratios (with MEGA DCR), 170/160 viewing angles and have HDMI, DisplayPort and D-sub connections (SA750 models) or Dual-link DVI (SA950 models). Each monitor includes a unique aesthetic design, especially in the case of the SA950, with its extremely thin panel and wide footstand, which attaches to the panel on the far right side. The SA750 looks more traditional in design, but includes a very thin panel, and a narrow, oval-shaped footstand. Both series are W-LED backlit as well as is the current market trend and use TN Film panel technology. Of note is Samsung’s new "Ultra Clear Panel technology", which reportedly "combines the vibrancy of a glossy display while maintaining the ease of viewing afforded by an anti-glare matte finish." The screens also offer an ECO light sensor for automatic control of the backlight, and come with Samsung's Eco Motion Sensor which contributes to ease of use and lower energy consumption by automatically turning the display on or off when a user is within or has left the vicinity of the monitor. 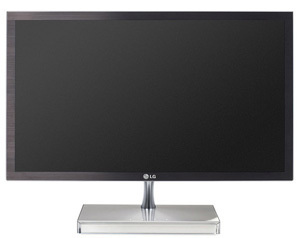 Again at CES 2011, LG are showing off their new E70V monitor with "Super LED" technology and an IPS panel. Interestingly this monitor is actually aimed at gamers according to the LG CES website, so its use of an IPS panel is uncommon. The screen offers a few advanced features like PIP and a "none-delay thru mode" for reduced input lag. There's even a hot-key remote which comes with the screen which can activate this thru mode quickly and easily. The size of the screen is not actually listed on the website oddly, but I suspect it's a 23 - 24" model given the current trend. 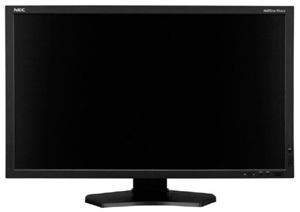 The E70V will be showcased at CES 2011 in Las Vegas along with some other IPS LED monitors in the IPS6 series. 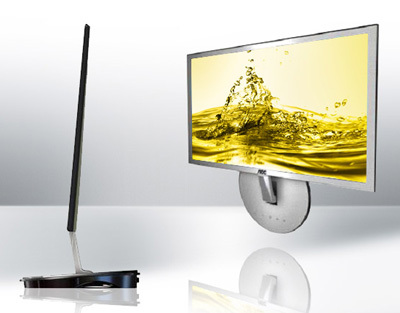 ViewSonic is expanding its LED monitor offerings today at CES 2011 with its slim bezel VA48m-LED and super slim bezel VX53mh-LED Series. The new models all feature W-LED backlighting and come in sizes between 19 and 27". All appear to be TN Film based as you might expect. The VA-48m-LED Series (available in 19”, 21.5” and 23.6” sizes) features an LED backlight, thin bezel widescreen monitor with integrated speakers. This mercury-free Energy Star® 5.0 certified Series offers full HD 1920 x 1080 resolution on the larger models (1440 x 900 for the 19”), 10 million:1 Dynamic Contrast Ratio, DVI and VGA inputs, 5ms response time, and comes in a glossy finish design. The screens also offer automatic aspect ratio adjustment ensuring optimal image positioning. The VX53mh-LED Series (available in 21.5”, 23.6” and 27” sizes) offer a full HD 1920 x 1080 resolution, along with dual HDMI and VGA inputs. 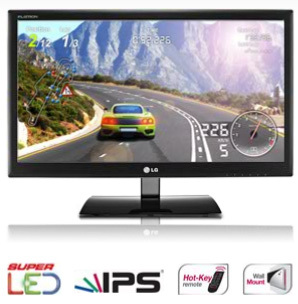 Additionally, this ultra-thin widescreen monitor series features a speedy 2ms G2G response time, 30 million:1 MEGA Dynamic Contrast Ratio and SRS Premium Sound speakers so consumers can immerse themselves in HD entertainment. The VA48m-LED Series will ship in February for respective ESPs of $149 (VA1948m-LED), $169 (VA2248m-LED) and $229 (VA2448m-LED). The VX53mh-LED Series will ship for respective ESPs of $189 (VX2253mh-LED), $239 (VX2453mh-LED) and $279 (VX2753mh-LED - pictured). The 22” and 24” VX53mh-LED Series models will ship this February, with the 27” model is expected in March. 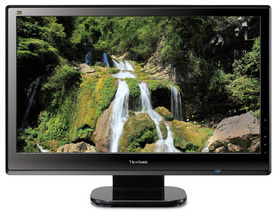 On a side note, Viewsonic will also be demo-ing their new 3D 120Hz LED monitor at CES 2011. 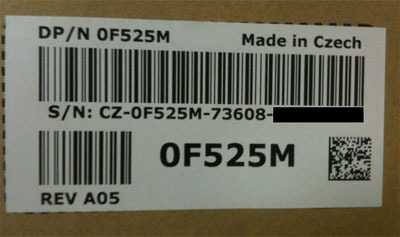 The V3D245wm-LED is expected to be released in Q3 2011. We haven't seen details of these models before but it's hard to confirm when they were actually released. Nevertheless we thought it would be interesting to bring you some info about a range of IPS based displays from Fujitsu, in sizes from 22 to 27". 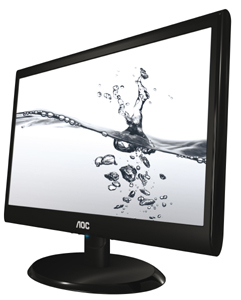 The lineup starts with the P22W-5 ECO 22" model which "is ideal for demanding graphics and office applications". The screen offers a 1680 x 1050 resolution, 5ms G2G response time, 1000:1 contract ratio (5000:1 DCR), 300 cd/m2 brightness and 178/178 viewing angles. This model offers 8-bit colour depth and a standard colour gamut. There are height, swivel and tilt adjustments from the stand and HDMI, DVI (HDCP) and D-sub interface options. This model has been round for a fair while but we wanted to mention it in this range. Then there is the P23T-6 23" model which "is ideal for extremely demanding graphics and CAD." Interestingly this model offers an LED backlight. It also offers a rotate function from the stand which the 22" does not, along with integrated 4x USB ports. This model offers a full 1920 x 1080 resolution, 5ms G2G response time, 1000:1 CR (2 million:1 DCR), 250 cd/m2 brightness and 178/178 viewing angles. Again the panel is 8-bit and with the W-LED backlighting the colour gamut is ~68% NTSC. There is again DVI (HDCP) and D-sub, but this time there is a DisplayPort interface instead of HDMI. Perhaps the model which is likely to recieve the most interest is the P24W-6 24". Like the 23" model ther eis a full range of ergonomic adjustments. The interface options remain the same as well and the spec is very similar. Here, a CCFL backlight unit is used however offering 20,000:1 DCR and 400 cd/m2 brightness. The screen is also a little bigger and offers a 16:10 aspect 1920 x 1200 resolution. The rest of the spec is as per the 23" model with a 5ms G2G response time, 1000:1 CR and 178/178 viewing angles. This model has an 8-bit colour depth and a standard gamut, and looks like it will be using the same IPS panel as the popular HP ZR24W. Again there are 4x USB ports along with DisplayPort, DVI (HDCP) and D-sub connections. The largest model in the range is the P27T-6 27" screen offering "cutting edge display technology". This model offers some advanced features including 10-bit colour depth (1.07b colours), 102% wide gamut and 12-bit internal colour processing. The stand again offers a full range of adjustments and Fujitsu have widened the interface options with 1x DisplayPort, 2x HDMI, 1x DL-DVI and 1x D-sub. There is a ultra-high 2560 x 1440 resolution along with 6ms G2G response time, 1000:1 CR (20,000:1 DCR), 350 cd/m2 brightness and 178/178 viewing angles. This model is CCFL backlit and looks to be using the same panel as the Dell U2711 / Hazro HZ27Wb. 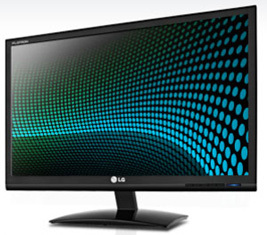 LG have recently announced the release of their new D24P monitor, a screen offering passive 3D technology. This technology has its advantages, including cheaper 3D glasses, no flicker and low cross-talk. However, there are also disadvantages such as half the 3D resolution compared with current 3D monitors. The D24P has an HDMI 1.4 input to allow users to connect other 3D devices such as a PS3 or a Blu-ray player as well. Over the Christmas break BenQ announced details of a new 27" monitor in their range, featuring a VA panel and LED backlighting. The EW2730V follows in the footsteps of the EW2420 which we tested recently. The key selling points of this new screen are its large size, and of course the combination of a VA panel and LED backlighting. 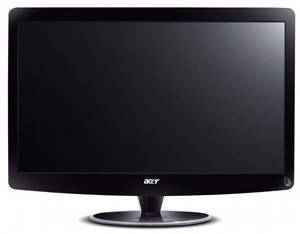 Like the 24" model, this screen will offer a 3000:1 static contrast ratio for excellent black rendering. Unlike some of the modern 27" models we have seen, this screen is reported to feature only a 1920 1080 resolution. The backlighting unit will also be W-LED as opposed to RGB LED and we suspect the panel will be from AU Optronics' AMVA range. Further specs are not available at this time. The EW2730V is expected to be available "after January", but firm release dates and price are not yet available. Back in October we brought you the teaster from Dell that they would soon be releasing a new 21.5" display wiuth IPS technology and multi-touch compatibility. 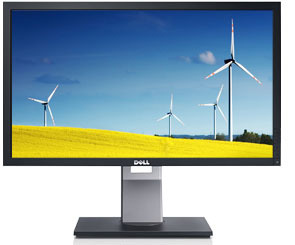 At the time there was no other information available, but Dell have now given us more detail about this new screen. 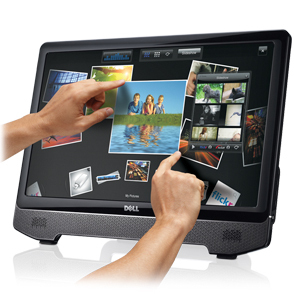 Dell's website states: "The new Dell ST2220T multi-touch monitor will change the way you look at, and interact with life. Featuring an innovative 21.5" multi-touch screen with IPS technology, and multiple tilt angles, you, your friends and family will enjoy a stunning experience in a sleek design." The screen "lets you interact with your PC like never before. With minimal lagging or smudging, you’ll enjoy quick and accurate touch response and full HD resolution. Adjust the 21.5" LCD screen to your comfort level with flexible tilt angles that allow you to position the monitor the way you like it, including the ability to lay it completely flat - great for gaming, watching movies and more." Perhaps it's been around a little while, or perhaps its another case of Dell sneaking out a new screen without much fuss or noise, but the P2411H is not a model we have seen before. The screen is 24" in size and features a W-LED backlighting unit. The screen has been designed for the 'professional office space' and with energy efficiency in mind. There is use of recycled materials and halogen-free laminates in its circuit boards; arsenic-free glass and energy-efficient, mercury-free LCD panel to help reduce environmental impact. The screen offers a decent range of ergonomic adjustments with height, tilt, pivot and swivel available from the stand. There's a massive 2 million:1 dynamic contrast ratio being promoted in the spec, and the screen offers VGA and dVI-D interfaces. The panel is TN Film based. Samsung have long been a leading manufacturer in the World of LCD panels, being incorporated widely in handheld devices, desktop monitors and LCD TV's. Their popular PVA (and S-PVA) technology has been their most heavily promoted technology for many years, being an exclusive Samsung production and touted as a rival to the increasingly popular IPS matrix. Unfortunately for Samsung, more and more manufacturers are turning to IPS as their technology of choice. We've already seen pretty much all the new mainstream Dell monitors emerge with new IPS panels, and even Apple have opted for an IPS panel type in their iPhone 4. To counter this trend and regain more of the market Samsung have announced the release of their new IPS-like technology which they are calling "Super PLS" (Plane to Line Switching). The new Super PLS technology will feature similar performance characteristics to IPS matrices, with very wide viewing angles and fast response times. Black point and contrast ratio has always been a strong point of S-PVA panels, and so the Super PLS panels (like IPS) will actually be a little behind in this regard. Samsung claim that Super PLS outputs 10% higher brightness and has even wider viewing angles than IPS panels. They also state that they are 15% cheaper to produce which should help drive down retail costs for the end-products. Whether S-PLS will replace IPS remains to be seen of course! Initially the target market for Super PLS panels will be smartphones and tablet PC's, and Samsung expect to have mass production early in 2011. Interestingly Samsung already list a 27" monitor module on their website which features a PLS panel, LED backlighting and 2560 x 1440 resolution. Intel have announced this week that they will work with AMD, Dell, Lenovo, Samsung and LG to phase out analogue interface connections. 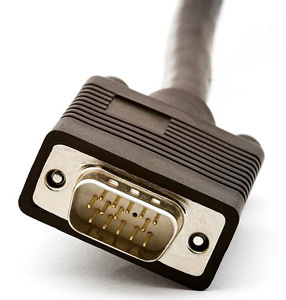 This will allow all manufacturers to move entirerly to digital connections such as HDMI and DisplayPort. VGA has been around for more than 20 years so this is a big change in the industry, affecting both monitors and graphics cards. This won't happen quickly however as Intel said they will be dropping VGA support in its platforms by 2015 and LVDS (low-voltage differential signaling technology) by 2013. AMD will be begin removing LVDS and VGA support in 2013 as well and expects to be VGA-free in 2015. For displays themselves, it will take even longer and Intel commented that VGA ports would remain on monitors well beyond 2015. "Modern digital display interfaces like DisplayPort and HDMI enhance the consumer visual PC experience by immersing them with higher resolutions and deeper colors - all at lower power - to enhance battery life for laptops," said Eric Mentzer, Intel’s vice president of Strategy, Planning and Operations for the Visual and Parallel Computing Group. AMD's Eric Demers noted that the company believes DisplayPort 1.2 is the future for computer displays, while HDMI 1.4a and beyond will be focused on TV connectivity. We briefly announced the forthcoming released of the new 30" PA model from NEC back in February. After the successful release of the 24" PA241W, 27" PA271W and 23" PA231W this year, NEC are now set to release the 30" version. NEC's press release states: "NEC Display Solutions is proud to unveil its flagship 30-inch model from its award winning PA Series. The NEC MultiSync PA301W with a 10-bit P-IPS panel has an in-built 14-bit LUT for the smoothest colour reproduction and a 3D LUT for precise colour space emulation. Backlight ageing correction ensures stable brightness, as well as compensation for white point drift over the monitors lifetime. These professional features coupled with the latest wide viewing angle IPS panel technology and high resolution wide format make the display the first choice for creative professionals, demanding office applications, scientific engineering analysis and the medical field." "Through this latest addition to our acclaimed PA Series we can now meet all demands and expectations in the professional display field. NEC Display Solutions is once again setting the reference benchmark in this market segment and showing its pre-eminence in monitor technology and accurate display image reproduction," explains Christopher Parker, Product Line Manager for Professional Displays at NEC Display Solutions. The screen will follow in the footsteps of the other models, using an IPS panel and offering some advanced professional features such as ColorComp uniformity correction, programmable 14-bit 3D LUT's and a 10-bit panel colour depth. The NEC MultiSync® PA301W will be available starting in January 2011 in black priced at £1,519 (excl. VAT). We wil feature a full review as soon as the screen is available. 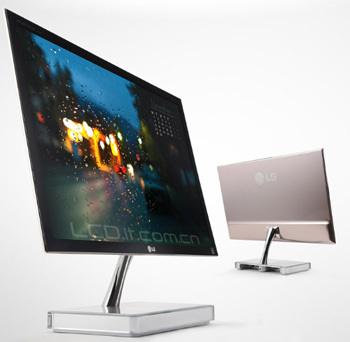 LG is set to release the "World's slimmest" monitor in the near future. 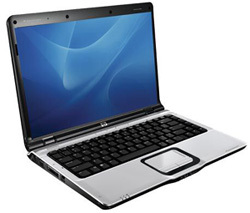 The E2290V is a 21.5"WS model with a super-thin 7.2mm depth. The screen comes with an interesting design and is bound to attract the interest of those looking for a sleek and discrete monitor solution. The screen will use W-LED backlighting to achieve this slim design. The E2290V is expected to retail for 329 Euro (approx $440 USD) which makes it quite an expensive option considering it is a TN Film panel. More details when they are available. 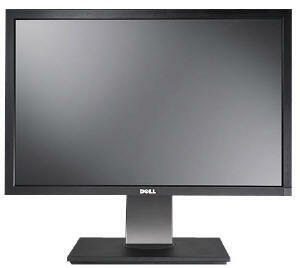 We announced the forthcoming release of NEC's new EA232WMi monitor at the beginning of November. The new screen looks interesting as it is one of the first to combine IPS panel technology with W-LED backlighting. It is also a direct successor to the popular EA231WMi which was released approximately one year ago. We have just recieved news that the new screen will be commercially available from December 2010 in black or white with a silver front bezel priced at £269.00 (excl. VAT). "With the NEC MultiSync EA232WMi we are introducing a high end corporate display that really meets the increased demand from today’s companies," explains Birgit Sommerer, Product Line Manager for Commercial Displays at NEC Display Solutions Europe. "The combination of excellent image quality, ergonomic comfort, low operating costs and environmental compatibility make the monitor one of the best in its class." We will feature a full review of the EA232WMi very soon!